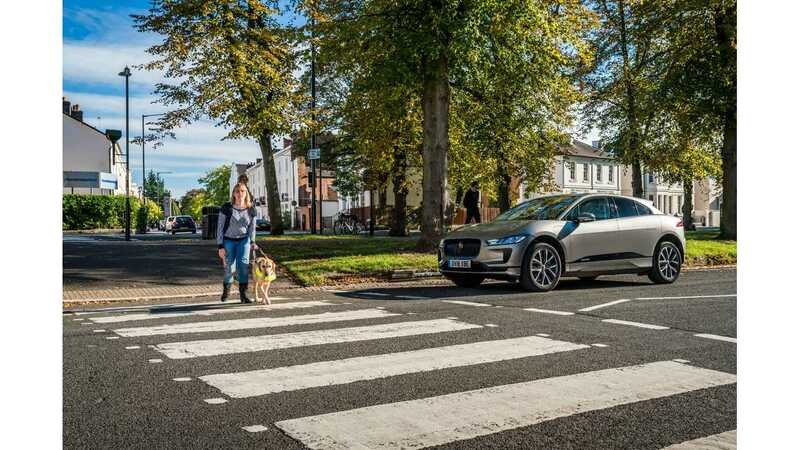 Jaguar, in partnership with members of British charity Guide Dogs for the Blind, has developed an Audible Vehicle Alert System (AVAS) for I-PACE electric cars to warn road users when the I-PACE is approaching at low speeds (up to 20 km/h). This is not the first such system for EVs, as the first Nissan LEAF had something like this in 2010. However, in the case of Jaguar, it can't be disengaged. The safety sound should help visually impaired to recognize the presence of a moving car and avoid an accident. Many of us would opt to keep EVs silent, but the regulations will require manufacturers to use such systems. "With no engine sound, the electric Jaguar I-PACE required a new way to warn blind, visually impaired and other vulnerable road users it is approaching at low speed. The I-PACE’s sound was tested by members of Guide Dogs for the Blind, the UK’s leading charity for people affected by sight loss, as part of the testing undertaken by Jaguar. It also marks the start of an on-going relationship between the two organisations." Interestingly, the sound needs to be deliberate as Jaguar found out that pedestrians were looking up to the sky, rather than at the road when the approaching vehicle was generating a noise inspired by the sound of sci-fi spacecraft. The current Audible Vehicle Alert System (AVAS) is the fruit of four years of development. "Jaguar’s engineers worked for four years to develop a soundtrack that is audible yet discreet and cannot be heard from inside the vehicle. Initial attempts to create a noise inspired by the sound of sci-fi spacecraft had to be shelved after pedestrians reacted by looking up to the sky, rather than at the road, as the vehicle approached. The alert increases in pitch and volume in line with the speed of the vehicle and, when in reverse, is accompanied by an additional tone that indicates the change in direction. AVAS is not required at higher speeds as there is sufficient wind and tyre noise for pedestrians to hear the zero-emissions vehicle approaching."